WHAT DO WE DELIVER FOR BRANDS? Your investment is more effective because the offers are delivered directly to the shopper, driving the behaviour and developing the personal relationship you want to create with your consumers. 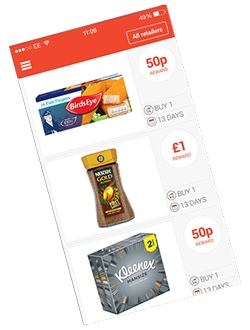 Offers can be personalised based on demographics or past shopping behaviour. We give you the freedom to connect with consumers to fit in with your own brand strategy. We can help you target the right shoppers when you want, with the offer of your choice, across retailers you specify, all within your own agreed budget. You’re in control. Offers can be set up and activated within the hour, with detailed analysis of results delivered within two weeks of an activity completing. Our team are all FMCG marketing, sales and category experts. We understand how to create a customised programme of activity that helps brands connect directly with their consumers in the grocery channel, building long-term brand loyalty in a 21st century way. With our digital solution, there is none of the hassle and slowness of paper coupons. Smart millennial shoppers don’t want to print out pieces of paper at home; instead they expect their interactions to be personalised, fast and digital. That's CheckoutSmart! 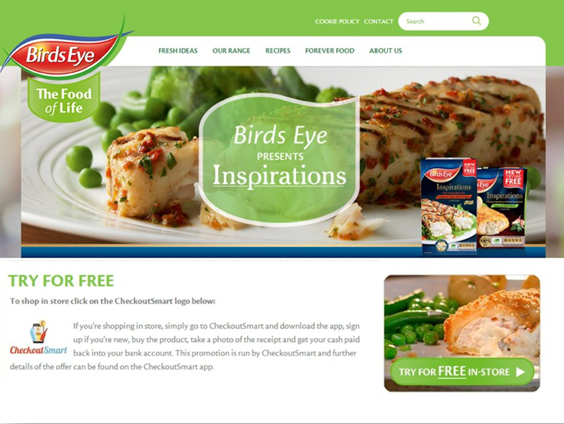 As part of the very successful integrated digital launch activity for Birds Eye Inspirations, we delivered a trial campaign of nearly 20,000 redemptions. Our activity increased the re-purchase rate from redeemers to many times that of non-redeemers and significantly boosted the total Birds Eye brand share vs control. 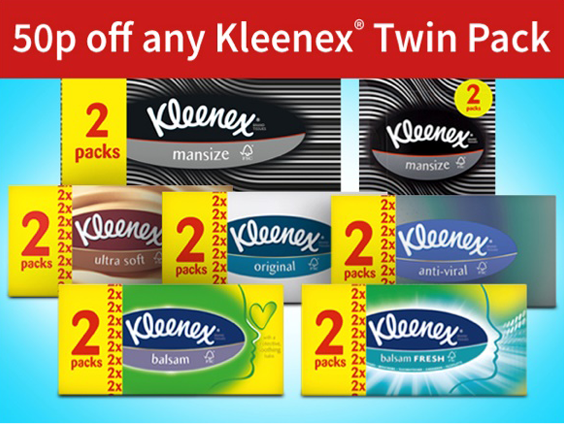 Working with Kimberly-Clark, we created a Kleenex Twin pack activity which more than doubled sales for a discount of only 15%. We were able to analyse strong post activity benefits in terms of brand share and increased average weight of purchase. Join over 100 brands using CHECKOUTSMART.